SCORE, the nation’s largest network of volunteer, expert business mentors, has published original survey data showing that mentoring increases the likelihood of small business success. SCORE’s data shows that mentored businesses were 12% more likely to remain in business after one year, compared to the national average. This supports existing research that shows entrepreneurs with access to a mentor are five times more likely to start a business than those who do not have a mentor. Working with a mentor at least five times greatly increases an entrepreneur’s likelihood of business success. 30% of business owners (both men and women) who had just one interaction with a mentor reported business growth, a number that increased with subsequent interactions and peaked at 43% of business owners who had five or more mentoring interactions reporting growth. Women entrepreneurs experience success when they are expertly mentored, regardless of their mentor’s gender. Women entrepreneurs were just as happy and successful working with mentors of either gender. What mattered to entrepreneurs (of both genders) was a mentor’s helpfulness, respectfulness, listening skills and open-mindedness, accurate assessment of a client’s business situation, and ability to provide relevant advice. 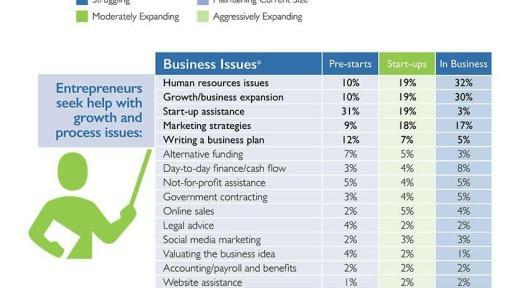 For more information, download the The Megaphone of Main Street: Report on Women’s Entrepreneurship and this infographic on mentoring and business success. SCORE’s Megaphone of Main Street data report series presents original, statistically-significant survey data on the American small business landscape. Survey data was collected from 20,000 small business owners in all 50 states and Washington, D.C., representing small businesses of varied sizes in a broad coverage of industries. Previous sections of this data report have highlighted the success that women entrepreneurs have achieved despite facing greater challenges with securing business financing compared to men. Since 1964, SCORE has helped more than 11 million aspiring entrepreneurs to start or grow their business. In 2017, SCORE’s 10,000 volunteer business experts helped to create 54,506 small businesses and 61,534 non-owner jobs. Follow @SCOREMentors on Facebook, Instagram and Twitter for the latest small business news and updates.